Catochi can also be played in a variety of play types; ‘Pick 4’, ‘Last 3’, ‘Back 2’ or ‘Back and Front’ and each play type is a separate bet. Give your completed number selection and payment to the retailer. You will receive your ticket (s) printed with your selected numbers, the draw date(s), ticket price, identification numbers and the value of each panel played. PLEASE check your ticket before you leave the store. YOU are responsible for the accuracy of your ticket. Catochi drawings are daily, twice a day, seven days per week, 2:30 pm and at 9:00 pm*. Tickets may be purchased until 8:45 pm, on the night of the drawing. Tickets purchased after 8:45 pm are valid for the next drawing. * Sunday drawing is held at 2:00 pm. Check the official drawing results to see if you are a winner! Catochi drawings are broadcasted LIVE by Tele Aruba. Official drawing results are available on lottoaruba.com, facebook, twitter and at Authorized FLpD Retailers. 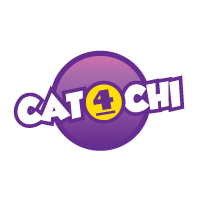 Fundacion Lotto pa Deporte will hold official Catochi drawings where three (3) winning, 4 number ’Pick4’, combinations will be drawn at random; First Prize, Second Prize and Third Prize. If your 4 numbers match the 1st set of 4 winning numbers drawn in the official drawing for the date played, you win Catochi Top Prize. If your 4 numbers match the 2nd set of 4 winning numbers drawn in the official drawing for the date played, you win Catochi Second Prize. If your 4 numbers match the 3rd set of 4 winning numbers drawn in the official drawing for the date played, you win Catochi Third Prize. *Catochi offers fixed prize payouts, MAXIMUM play limit for any particular four-digit number combination is set at Afl. 50.00. If players collectively play the same number the ‘FLpD’ will automatically stop sales of that particular four-digit number to avoid exceeding its play limit. Pay table Prizes shown based on a wager of Afl 1.00, players playing Afl 0.50 will win half the amounts quoted above. Maximum play limits shown next to the play type.